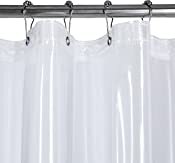 Get the most value for your money with Top-Rated Premium 10-Gauge Heavy Duty Shower Curtain Liner!Quality and durability are what you will get with this super heavyweight, premium 10-gauge shower liner. 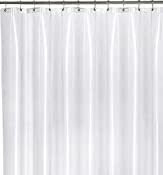 It will help you protect your decorative curtain and bathroom floor from getting wet when taking a shower or bath. 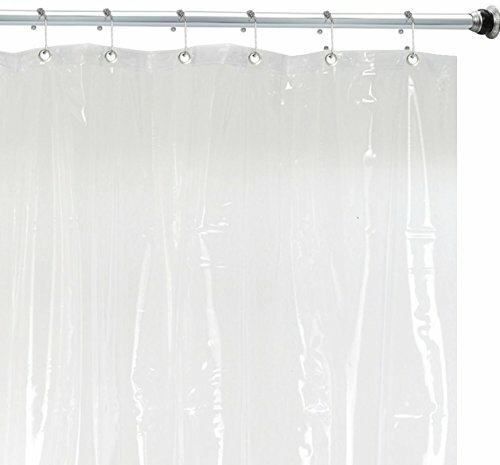 10 gauge heavy duty Shower Curtain Liner measures 72 inches wide by 72 inches long to fit standard size tub/shower areas. It is resistant to mold and typical mildew build-up and is easy to clean and maintain to last you for years to come. Once received just wipe the curtain with a damp cloth. Fully opening your liner to dry after use is recommended.